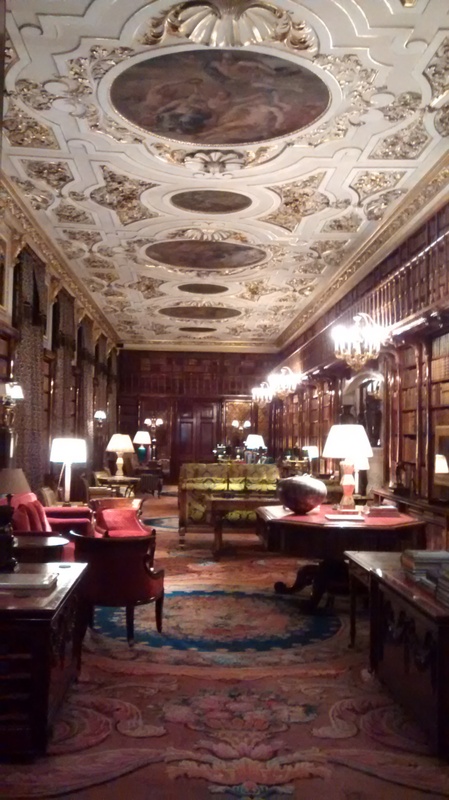 I recently visited an exhibition at Chatsworth House and Gardens which recreates the estate as it would have been during the First and Second World Wars. The exhibition explores the contributions of the Cavendish family to the war effort. It also marks the centenary of the start of the First World War and the 75th anniversary of the start of the Second World War. Chatsworth as a Boarding School. Photo courtesy of Chatsworth. During the Second World War, a girl's boarding school in Wales, Penrhos College, was used by the military for storage purposes. 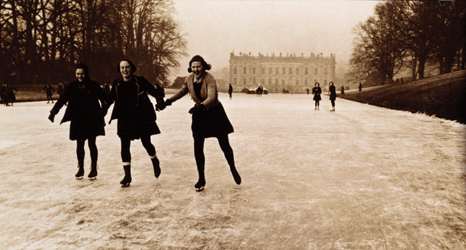 The Duke offered the use of Chatsworth to the school and about 200 girls lived and studied there until March 1946. Library. Photo by Erin Connelly. The State Drawing Room has been transformed into the old dormitory complete with wardrobes, beds, and a slideshow of photos from the 1940s. It must have been a unique and exciting experience for the girls to live in such a magnificent estate, but also quite difficult to be so far from home. During their stay at Chatsworth, the estate was damaged by stray German bombs. Fortunately, there were no injuries and it was reported to the parents that 'the girls went to bed on time'. Monarch's bed in the State Suite. Photo by Erin Connelly. Due to rationing, fires were not lit in the winter and it was so cold that water bottles were frozen solid by the morning. 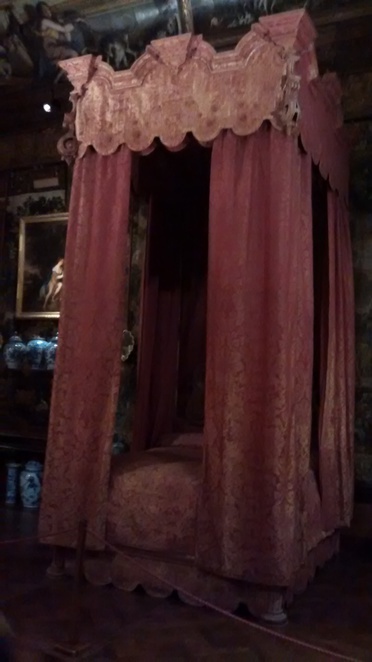 In the State Suite four girls were found hiding in the giant bed, originally intended for a monarch's visit, to avoid outside activities in the freezing weather. At the end of the tour several rooms have been transformed into memorials of the World Wars. War poetry, images, and artefacts from the house, such as school uniforms, are on display. Visitors are encouraged to write their own family stories from the wars into a book of remembrance. 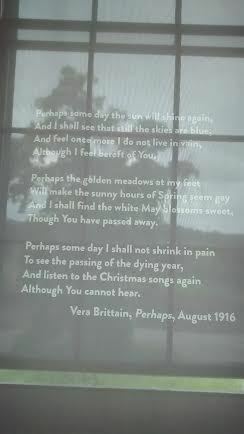 Perhaps by Vera Brittain. Photo by Erin Connelly. The Wartime exhibition is included with entrance to the House and runs from 4 April to 23 December 2014.